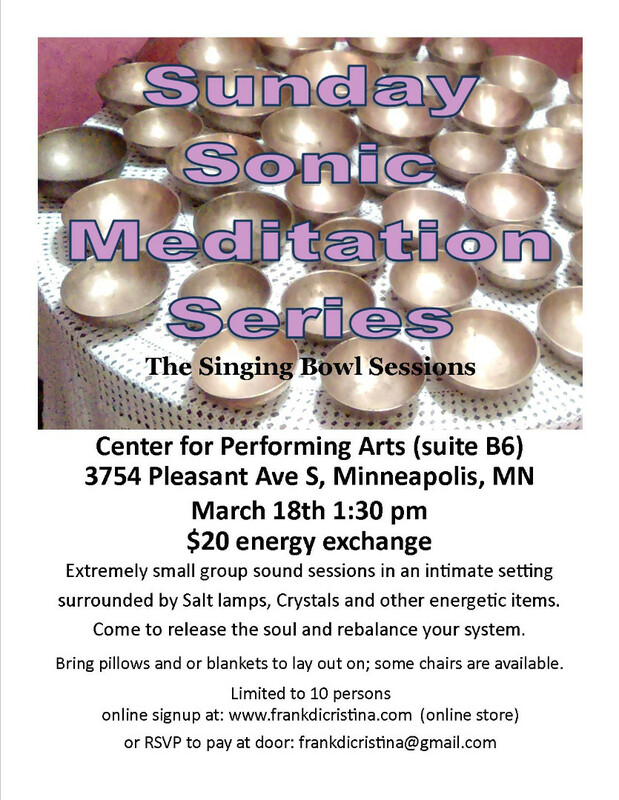 Extremely small group sound sessions in an intimate setting surrounded by Salt lamps, Crystals and other energetic items. Come to release the soul and rebalance your system. • What to bring Bring pillows and or blankets to lay on; some chairs are available.